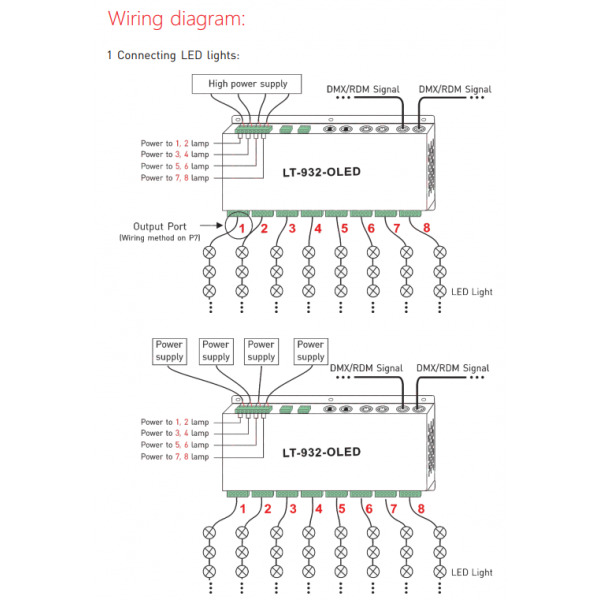 The 32-channel OLED DMX decoder is suitable for applications where multiple DIM, CT, RGB or RGBW must be controlled with a DMX signal. 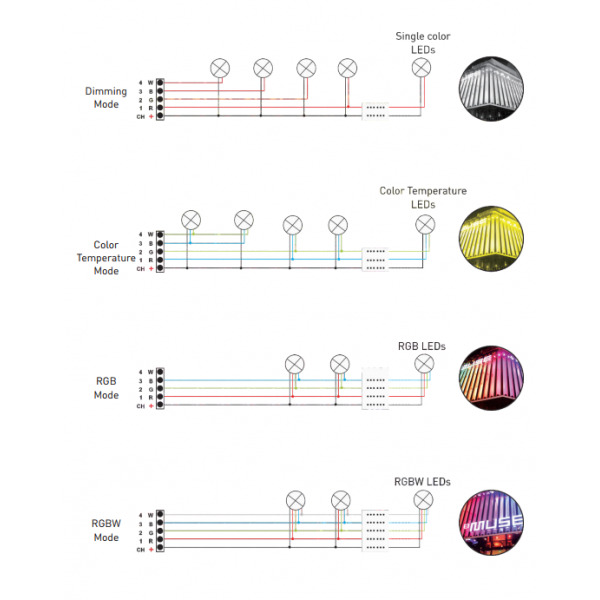 In case you are using RGBW Strip a maximum of 8 modules can be connected. With the Dimming mode this will be 32. 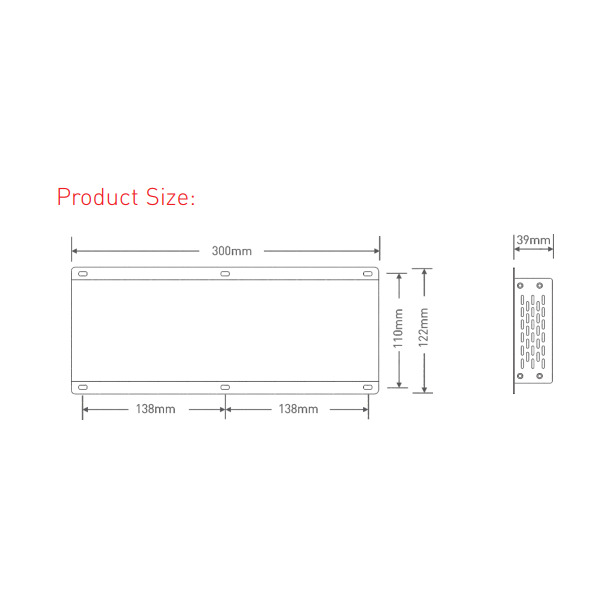 It has 32 channels of 3A (96A max) and a maximum power of 2304W. 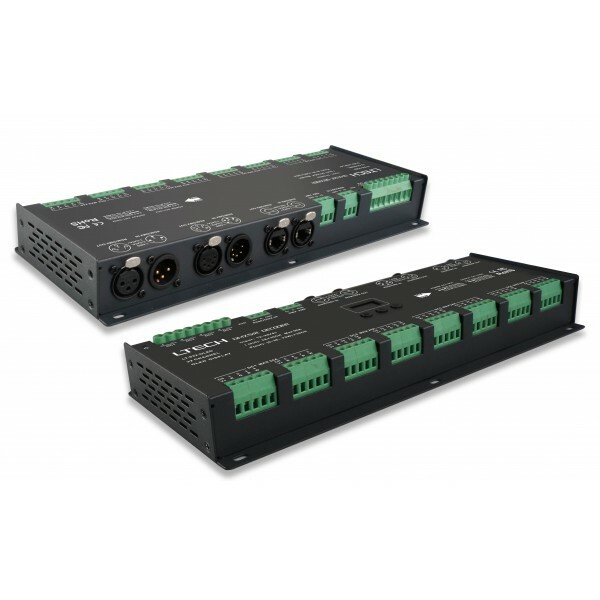 Works with 12 and 24 Volt DC LED modules. 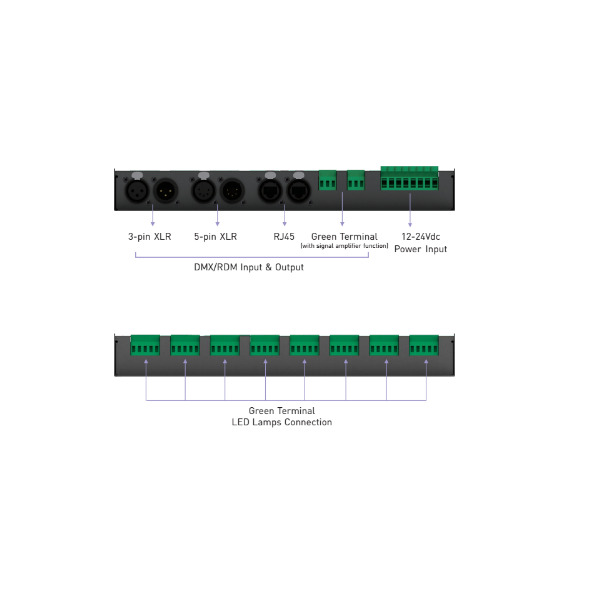 Has multiple DMX sockets to chose from: RJ45, Green terminal and XLR-3 and XLR-5. 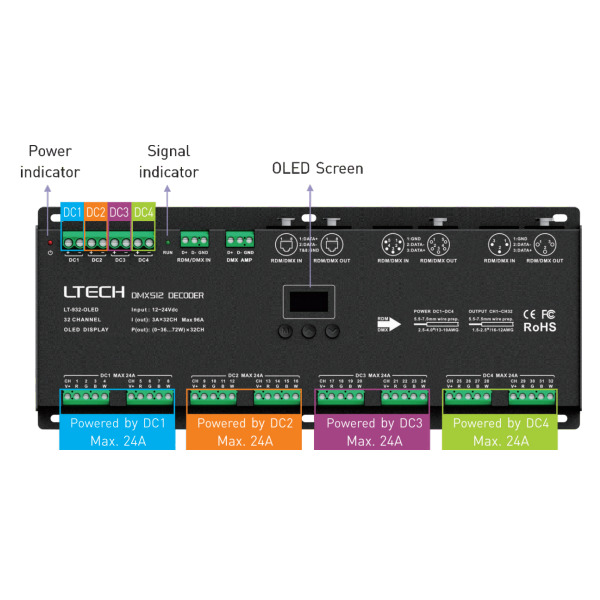 Also supports 8 & 16 bit functions and has 0.1 - 9,9 dimming curve.